Mesa County Commissioners proclaimed April as Child Abuse Prevention Awareness Month in the Grand Valley and called upon all citizens, community agencies, religious organizations, medical facilities and businesses to participate in programs and activities that help prevent child abuse, thereby strengthening our community. The proclamation was accepted by District Attorney Dan Rubinstein, National Director for Project 1.27 Janet Rowland and Department of Human Services personnel. Read more at https://bit.ly/2G1c0h5. On Monday, pinwheels to help share child abuse prevention awareness were placed on the memorial located on the front lawn of the old Mesa County Courthouse, 544 Rood Ave., in memory of children who left us too soon. 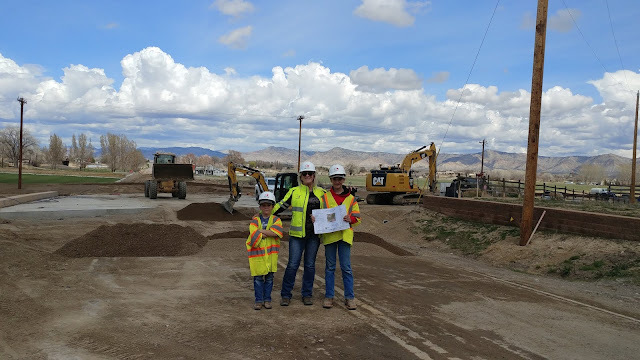 Laura Page, Mesa County Construction Group Manager, gives a tour of the 24 Road bridge project to a couple of local home-schooled kids. They learned what a civil engineer does and, thanks to local contractor Mountain Valley Contracting, they also learned how GPS controlled equipment works. 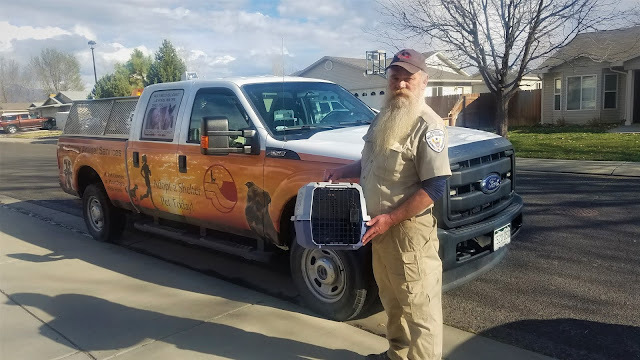 Wednesday evening, Animal Services Officer Ron Markley received a call from residents who found a parakeet near 32 and D 1/2 roads. Officer Markley was successfully able to catch the bird within a few minutes. Meet our new Cyber Security Officer— Caitlen Sanders! Sanders is originally from Grand Junction but has spent the last five years working for JPMorgan Chase in Columbus, Ohio. She has a master's degree in communication and information sciences. She moved back to the Grand Valley with her husband and their French bulldog, and in her spare time, she likes to hike and do calligraphy. Welcome aboard, Caitlen! 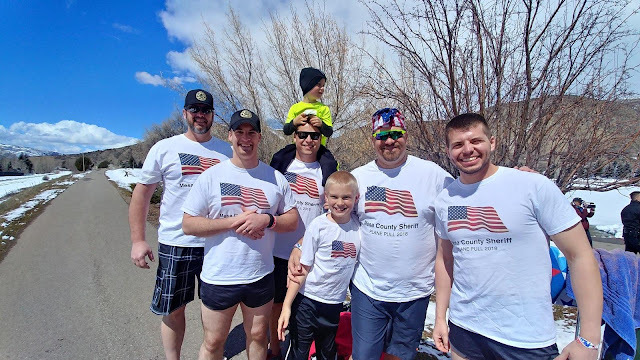 Mesa County Sheriff's Office deputies get ready to participate in the Avon Polar Plunge for Special Olympics Colorado. Burr! 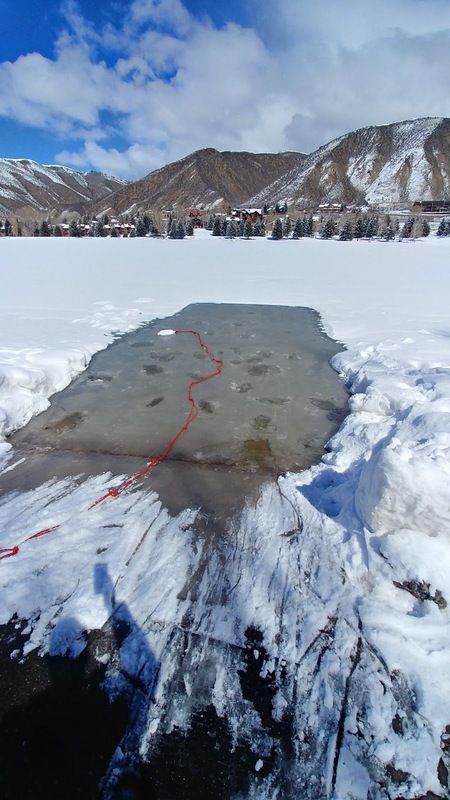 Why would anyone jump into a freezing lake? For Special Olympics Colorado of course! Mesa County Sheriff's Office deputies had a ton of fun participating in the Avon Polar Plunge for Special Olympics. Thank you to everyone who supported the event! Mesa County Commissioner Rose Pugliese talks to a group of residents about the National Popular Vote Resolution that was adopted by the Board of County Commissioners in public hearing earlier this week. Read the resolution at https://bit.ly/2KjDYZI. Look who stopped by Joyful Journey Preschool this week! Kids got to learn all about how and when to call 911. 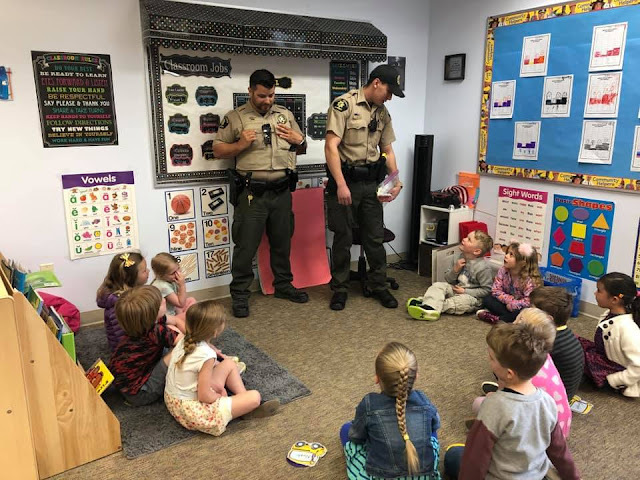 If you ever need help, ask a Mesa County Sheriff's Office deputy! 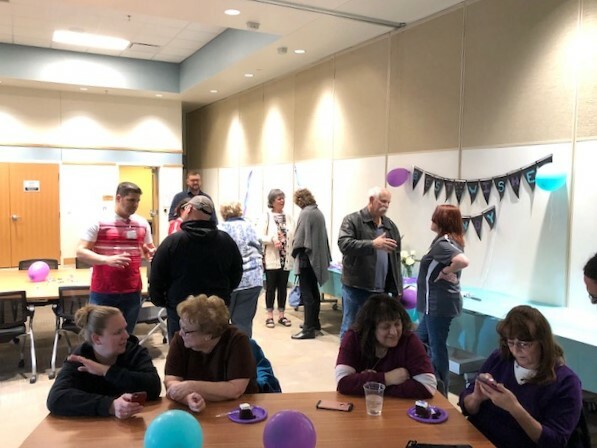 Department of Human Services staff celebrates Sandy Sebold's retirement at a farewell get together. 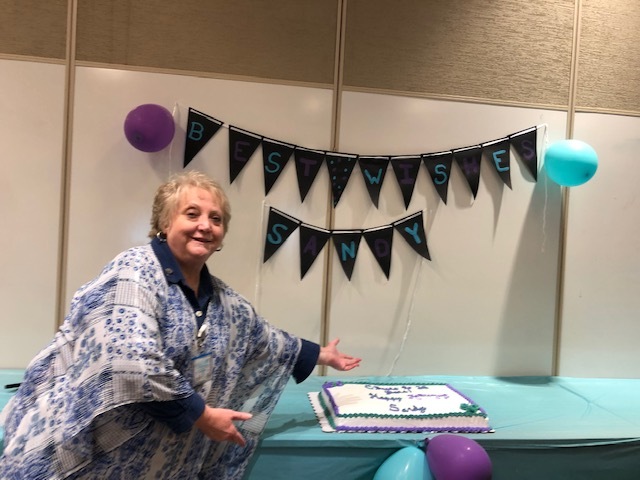 DHS Case Manager Sandy Sebold is ready for retirement after 38 years of dedicated service to the residents of Mesa County. Congratulations and happy retirement, Sandy! 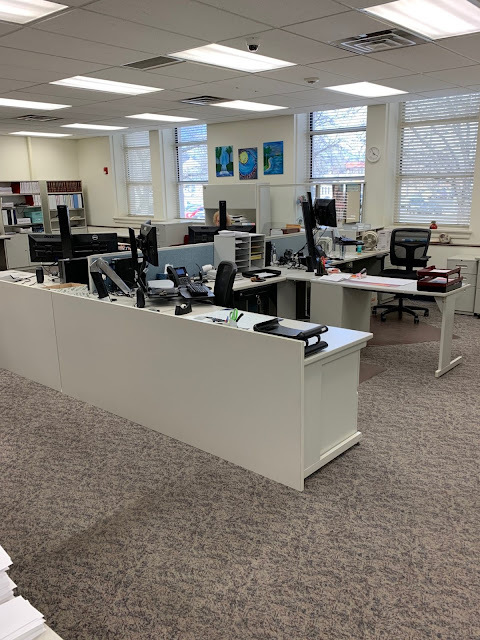 This week, the Treasurer's Office was the grateful recipient of Facilities' help to make their workspace more functional. No monies were spent! It was only a rearrangement. They now have better access to the entire counter to help customers more efficiently. Chris Horner, Lead Treasurer Technician, waves from the back of her training pod. 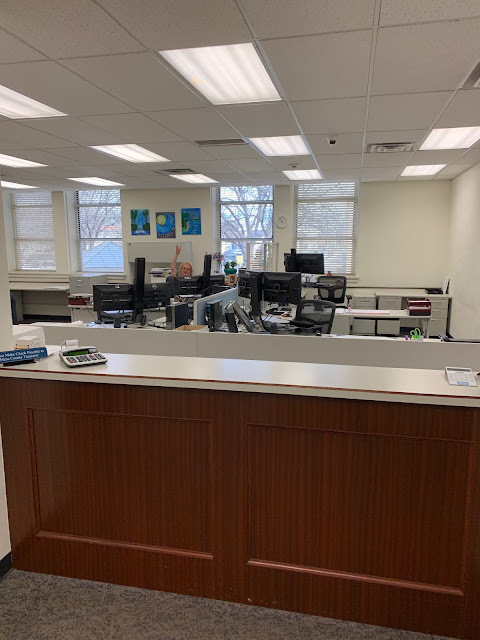 Four of the desks in the Treasurer's Office were rearranged into a pod to increase their ability to communicate. Mesa County Commissioner John Justman speaks to media members on House Bill 1261, also known as the “climate change” bill. Commissioner John Justman testifies against HB19-1261 before the Colorado House Energy & Environment Committee on Friday afternoon from the Colorado Mesa University campus. During his remote testimony, Commissioner John Justman tells the Colorado House Energy & Environment Committee that every job is valuable, and that every industry is essential to Mesa County's continued path to economic diversification. 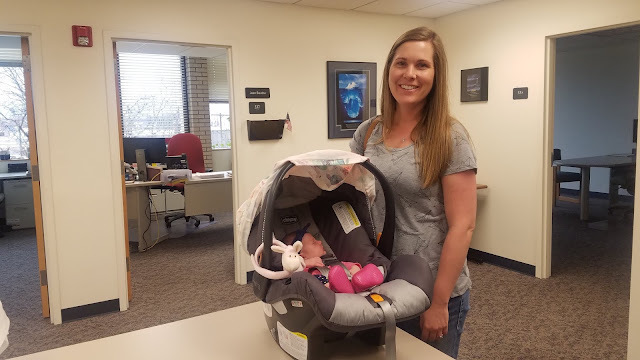 Human Resources Manager Brenda Moore stopped in with her beautiful, two-week-old baby girl. Congratulations, Brenda!